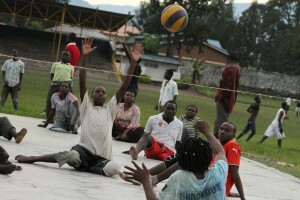 The 2012-2013 Crowley project examined the human rights of people with disabilities in Rwanda, paying particular attention to the unique barriers that confront people with disabilities seeking inclusion and inclusive education. Despite national and international human rights legal protections providing that people with disabilities should be included in all aspects of society – especially in education – in practice, people with disabilities face a number of challenges that prevent their equal access to education and its attendant benefits. Social stigma, an inaccessible built environment, a lack of accommodating materials, very limited teacher training, and legal enforcement challenges are only some of the obstacles that prevent school attendance or reduce the quality of the learning environment for people with disabilities. Moreover, the compounded discrimination, stigma and extreme exclusion of people with psychosocial disabilities makes them a particularly vulnerable population with almost no access to basic education. For two weeks in May 2013, Fordham Law School Professors Aminta Ossom, James Kainen, and Elisabeth Wickeri led a delegation including nine Leitner students and staff to Rwanda to document barriers to education for people with disabilities in the country. The delegation participating in the documentation project included Crowley Scholars Mickey Lai Alterman, Lucy Benz-Rogers, Daniel Davies, David James Harvey, Troy McNamara, Meghan Newcomer, Matt Solomon, and Paula Sternberg. Leitner Program Assistant Rita Astoor also joined the delegation. The delegation conducted wide-ranging interviews with stakeholders and experts in the country, including members of disabled persons organizations (DPOs), the government and its partners, scholars, lawyers and advocates, and local leaders whose expertise informed a broader understanding of the issues.